Ok, so those of us who have played any Zelda game with the Hylian Shield will know that it has the iconic red bird symbol commonly known as the Hylian crest. It can be assumed that the crest itself is actually based off of Link's crimson loftwing or even the previous hero described in the beginning of Skyward Sword assuming that he too had a crimson loftwing which would explain how Lanayru the Thunder Dragon had the shield in the first place even before Link was born but this is only speculation. A simple theory this is and I am pretty sure it is true because the resemblance is undeniable. Feel free to post your thoughts below. Theory, perhaps. But it's obvious that Nintendo wants us to assume this, at least that the symbol is supposed to represent a Loftwing. 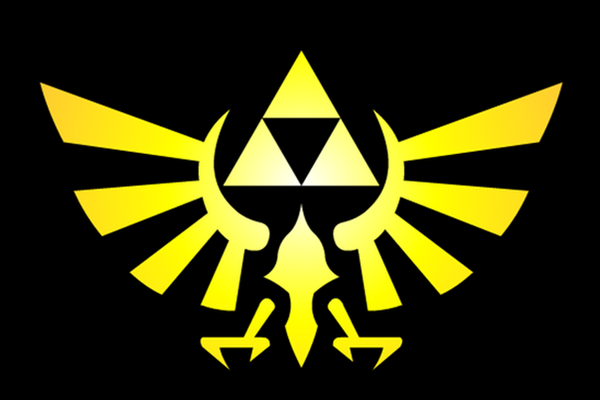 Although I'm not so sure if it's Link's Crimson Loftwing in particular it's supposed to represent, because the Hylian crest that looks almost identical is yellow and not red. The reason why I think it's obvious that Nintendo wants the players to think that the bird in these symbols represent the Loftwings can simply be explained by showing you the title logo of the game. Majora's Mask was the start to the trend of Nintendo always including the main aspect of the game into the title. If we look at Majora's Mask's, we can see the mask. If we look at Twilight Princess, we can see the Fused Shadow. If we look at Wind Waker, we can see KoRL. If we look at Phantom Hourglass, we can see an hourglass. If we look at Spirit Tracks, we can see a train. And if we look at Skyward Sword...we can see the Triforce and a Loftwing? Obviously, it's supposed to represent something, and the Loftwing is the only thing it can represent. With the Triforce already in the game, the whole logo is explained. Of course, because there's always something in the title that links to Link's companion (if we consider his Loftwing a companion, that is), one could assume that the symbol is supposed to represent his Loftwing. But when looking at how we humans symbolize animals, we always take an entire species and then say they represent intelligence, or they represent strength, or whatever. We never pick one heroic animal. So that has made me believe that the bird is supposed to represent the Loftwing species in its entirety, not just the Crimson Loftwing that Link has in Skyward Sword. I am pretty sure that the red symbol on the Hylian Shield is supposed to represent the Crimson Loftwing and not just loftwings in general other wise it wouldn't be red then.  The Hylian crest that is used for other things, well sure it can definitely be assumed that it isn't just based off of Link's Crimson Loftwing but other Loftwings in general. This was just a quick thread that I put together to help revive the theory section of the board which is why it isn't all to stunning. I think I might have actually posted something to this effect on WMB back when SS was first announced. Well, maybe not here, perhaps another Zelda fan site? Bah, whatever. While officially we'll have to wait until next year to get our hands on it, Dark Horse released their translation of it recently as a bit of a teaser. I'm not sure to what extent Nintendo counts the tie-in manga as canon, if at all, however. In it, we see Link having been in the castle's dungeon for a long time and is only let out to help protect the town he's in (he was thrown away for four years for a crime that isn't explained too well). Before Demise's armies reach them, Hylia and a big (red) loftwing appear to the Hylians and blesses Link with the Master Sword, with the loftwing being dismissive of the Hylians' attempts to stave off Demise. Eventually, Link promises to fight and protect everyone, because that's the kind of guy he is and because he proves his courage, the loftwing aids him. He does battle with the demons and Demise himself is pushed back slightly, but not before mortally wounding Link. Hylia, in an act of desperation, sends the land upwards to become Skyloft (along with the Triforce...) and Link dies, holding back the demons with the Master Sword. In exchange for his bravery, Hylia promises that his spirit will be forever reborn to act as the land's guardian. In the 'present' of SS Link's childhood, he meets the red loftwing, who it's implied is a reincarnation as well of the great one that Hylia rode in the distant past. If all of that is so, then it's easy to see why the red loftwing would be chosen as a symbol of Hyrulean military might. But it's also possible that this legend has been lost and forgotten by the later games and no one quite remembers why the bird and Triforce is such a potent symbol. Then again, it also appears to be the coat of arms for the royal family, which again makes sense. A lot of European had (has) lions in their coats of arms, even though lions have long been extinct in Europe; same deal here. "Mine is Yesterday: I know Tomorrow."